LGBT activists aren’t happy Apple is eyeing North Carolina as a possible site for one of its future campuses. The state is currently being boycotted by advocacy organizations, corporations and other state governments for failing to repeal a law that severely limits the civil rights of LGBT individuals, Axios reported. Some context: Gov. Roy Cooper was partly elected on a promise that he would kill a previous state law that limited the rights of LGBT people. After being elected, Cooper did sign an executive order that sought to limit discrimination, but that order kept in place a ban on cities from instituting their own regulations protecting the LGBT community. 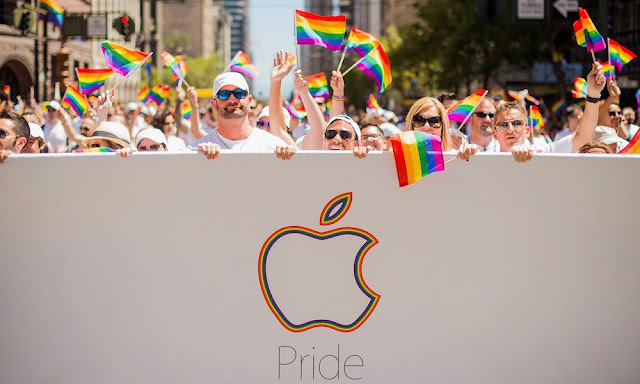 Apple has long been a strong ally of the LGBT community. But activists are worried that its decision to build a campus in North Carolina could open the “floodgates for others that want to set up shop in states with anti-LGBT laws,” according to Axios. On the other hand, the media outlet pointed out that Apple will likely make the case that it can do more good within North Carolina than it can protesting from the outside. That’s a case that’s been made by activist groups, too. While many advocacy organizations have been urging Apple and Amazon to avoid North Carolina, others believe that the tech juggernauts could have a “large impact” by setting up operations in the state. It’s not clear how seriously Apple is considering North Carolina, however. Preliminary reports that Apple is eyeing the state note that the details are far from being set in stone. Axios added that people in Northern Virginia are still trying to “make their case” for an Apple campus there. But, again, it’s unclear if Apple is considering Virginia as a possible site for a campus — or, if it is, how serious those considerations are.